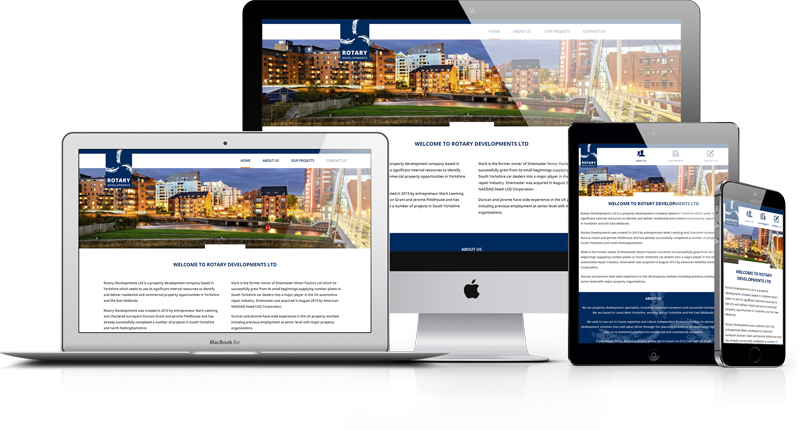 Rotary Developments is a property development company based in Leeds, West Yorkshire. 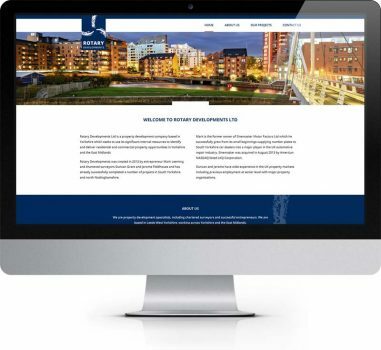 Rotary developments came to us to create a brand and new website for their company after being recommended to us by Grant Fieldhouse for whom we also developed a website. 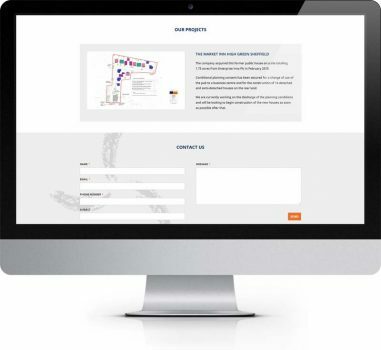 Rotary Developments came to us with no logo or branding and needed a web presence. They commissioned us to develop a logo and stationery package to work alongside a new website. We start all branding projects with a good talk with our clients seeing what visuals they prefer, how they want to convey their image, who is their target audience/type of customer and look at competitors. 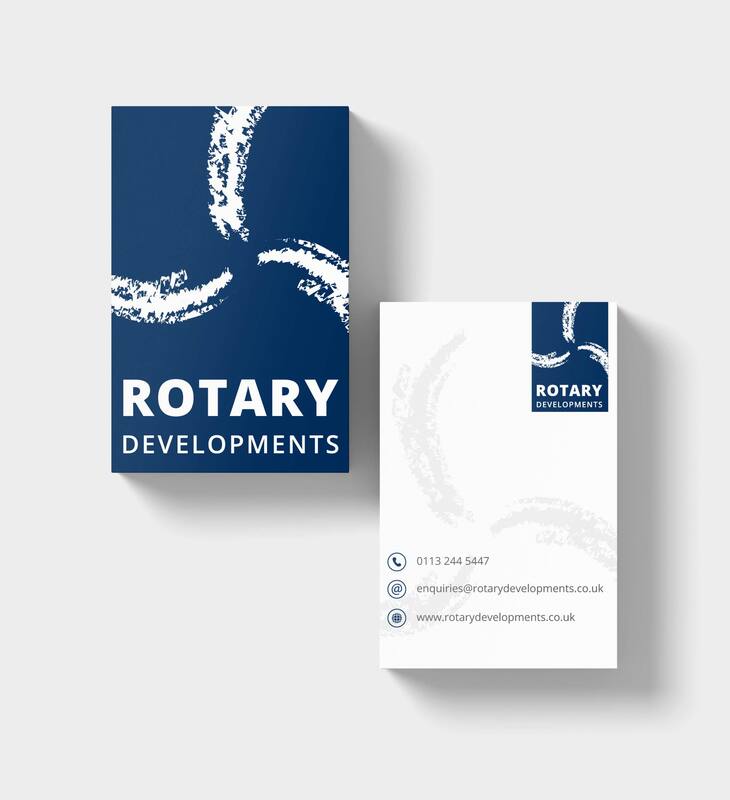 We created a brand for Rotary developments that was strong solid and simplistic, using abstract shapes and a strong clear font. A preference for dark or strong colours came from our discussions and this was brought into the logo drafts. The final outcome uses a dark blue with white abstract marks, the abstract marks take inspiration from rotary blades, visually referencing the company’s name. Once a logo was established we then moved onto the design of stationery items and the web site. 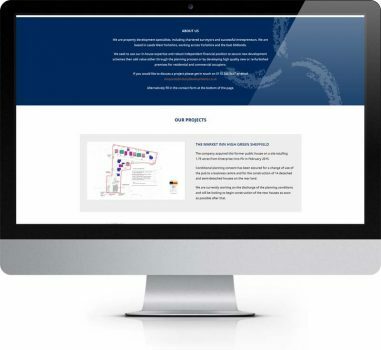 As Rotary Developments, didn’t have a lot of content that they needed to show on the website, we designed the site as a one page site with different sections navigated to by a fixed menu at the top of the page, on click of the menu the page scrolls the correct place. 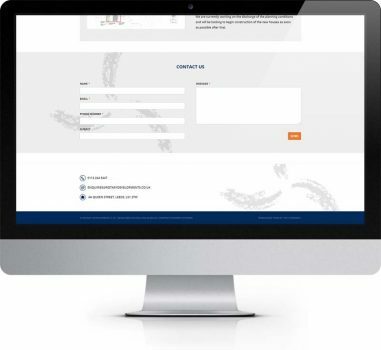 To bring the brand through into the website we have used the dark blue from the logo as the accent colour in the design, complemented with the use of white and light grey. The site uses colour to differentiate between the different sections of the website. Orange, has been used as the ‘clickable’ call to action colour on the website, complementing the blue further. We reference the logo mark of the rotary blades throughout the different sections on the site as a watermark in the background. The stationery design complements that of the websites, being predominately white and the rotary blades being used as a watermark on all items. The blue from the logo is carried through into the icons used to identify the different contact details. Rotary developments chose business card, letterhead and compliments slip as the 3 items designed for their stationery package.